Superstar Parties provides the highest quality of children’s entertainment for Kids Birthday Parties and Events in Sydney. We provide entertainment for all ages from tots to teens. We work with both private and corporate clients and provide tailored events to suit you. StarDust was born out of a passion for seeing kids have fun and delivering the best possible kids parties and events. 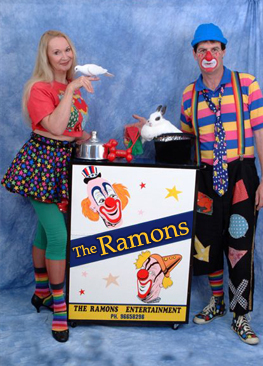 The Ramons Entertainment was formed by Marilla Newman and Dean Ramon. They have been performing together for 18 years.With 30 years experience in the entertainment industry, we are true professionals having performed in India, New Caledonia, New Zealand, the UK and throughout Australia. Bimbi Magical Sydney started with the intention to bring a smile to children's faces in public events volunteering. We started wanting to create spaces to promote children's entertainers to grow in their field and for children, families, and carers to further their creativity together. At Kidz Mantra, we ensure that your kids can enjoy to the fullest and their safety is our priority. The following are some of the benefits of party themes along with children party entertainer in Sydney that we arrange for you so that you can throw the best and safest parties without spending the extra bucks.